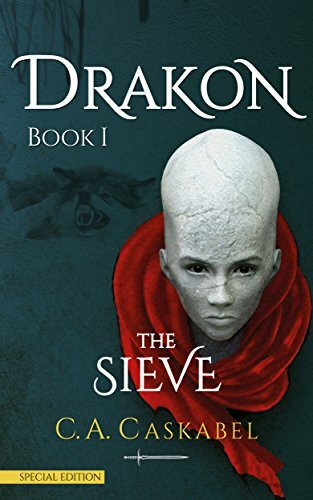 “The Sieve” is Book I of the epic fantasy novel Drakon. Thus said Da-Ren, the Devil’s First Blade at the gates of the Castlemonastery; His only offering, a jar of honey. This is his story, as transcribed by the monk Eusebius, as ordered by the Emperor himself. Book I chronicles Da-Ren’s early years, growing up in a tribe of archers and pagan witches. He enters the Sieve, the forty-day initiation trial that determines the fate of every boy and girl. Many of his comrades will fall, the strong will join the warriors, an elite few will be marked for leadership. South of the Blackvein River, a young Sarah survives the horror of the barbaric raids and devotes her life to acquiring knowledge and wisdom. She will talk to the witches, the priests and the rag dolls, she will learn the tales and the songspells, she will give birth and demand death. Revenge is her only mission. Not even ten thousand warriors will be able to stand against her, when she delivers her vengeance of wine and song.